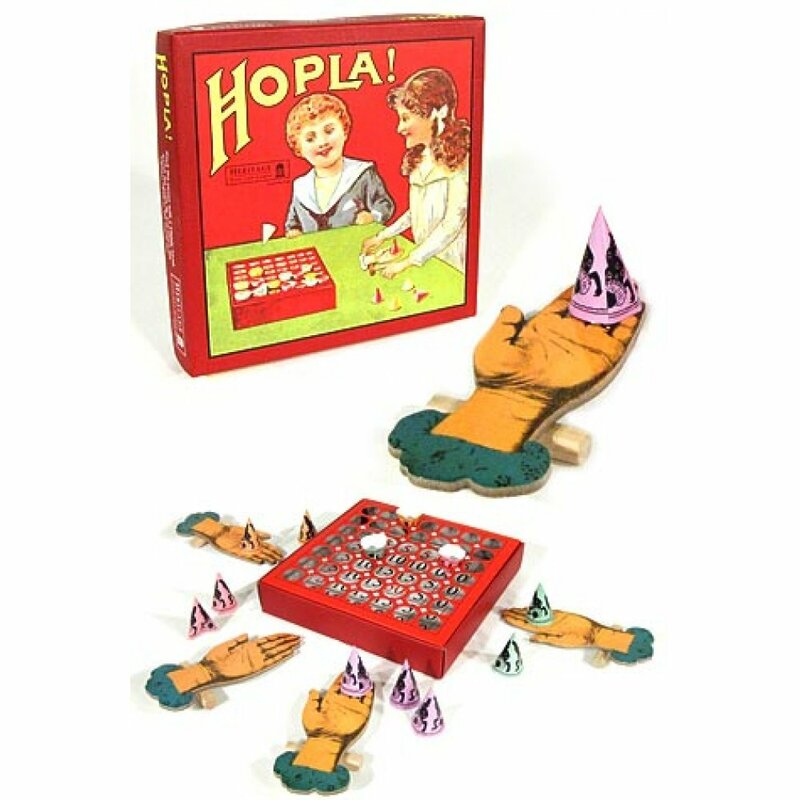 Play our classic whimsical target game, Hopla! 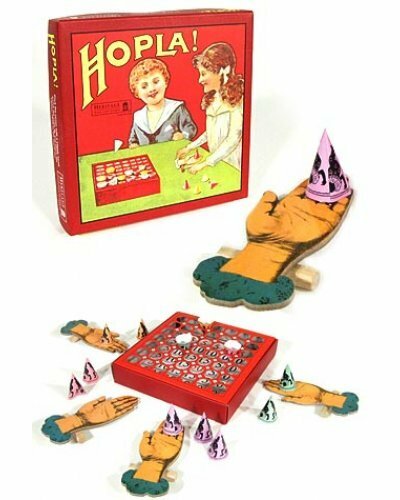 In this traditional British game you flip a wax filled cone with a wooden hand to score into the Hopla net. It’s tricky and fun to shoot and score. Our high quality party game set includes the 4 high quality Hands, a 49-holes Hopla target and 12 coloured cones. Classic fun for the whole family in the original 1920’s retro box. A museum quality gift for your classic toy collector. 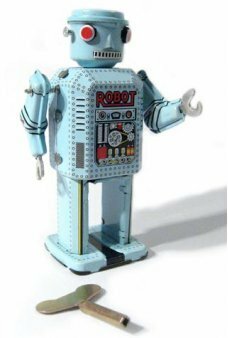 Our black Planet Robot is a Special Edition of the famous tin toy robot! Planet Robot has a c.. 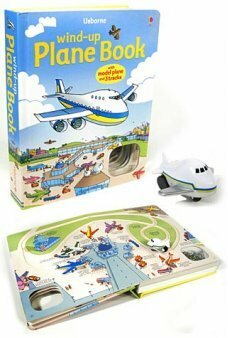 Fly back in time with our sleek secret Aliens in a Jet Tin airplane. 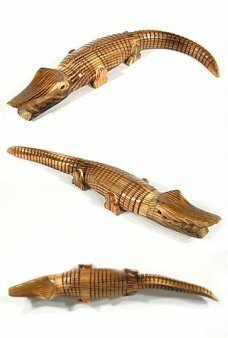 Rev up this retro all-tin toy a..
Our 15 inch long wooden Alligator wiggles like a real reptile. With a segmented and adjustable spine.. 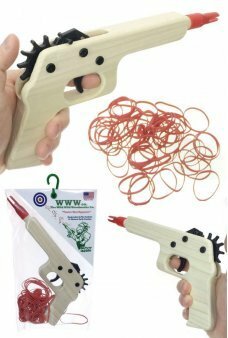 The Wild West Colt 45 Rubber Band Cowboy Gun loads and shoots 12 bands for rapid fire action! Our 19..